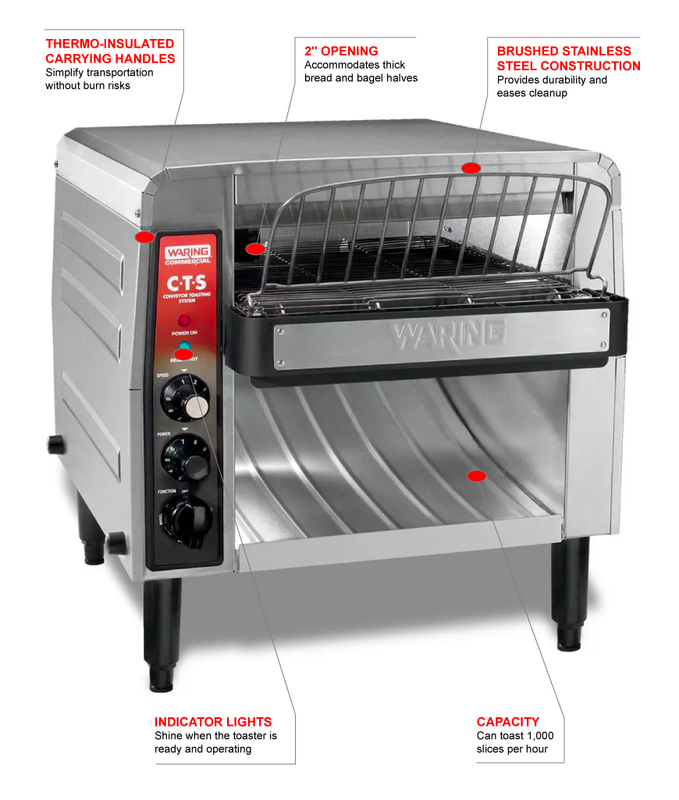 The Waring CTS1000B conveyor toaster can produce 1,000 slices per hour. Its two-inch-tall opening can fit bread or thicker products like bagels. The operator controls the toast level by adjusting the speed of the conveyor, and the unit’s stand-by mode saves energy during idle periods. Made of stainless steel, the Waring CTS1000B conveyor toaster is durable and cleans quickly. Stay-cool side panels reduce the risk of burns. Can toast 1,000 slicers per hr. 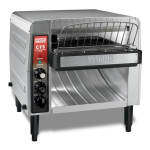 We compare the features and benefits of conveyor toasters and slot toasters in our conveyor vs. slot toaster article.